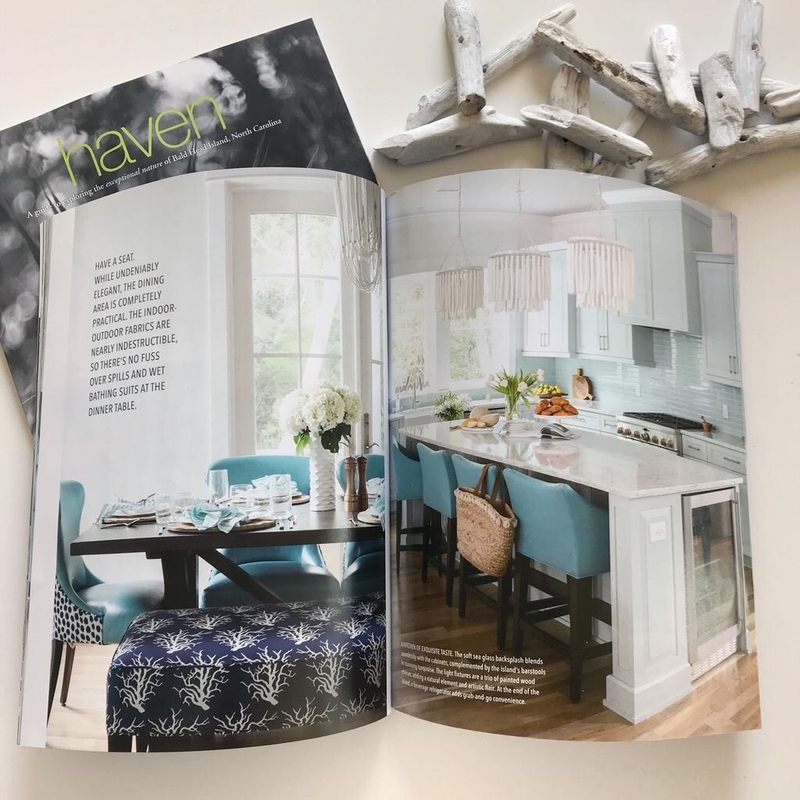 It’s the first day of spring and we’re celebrating with the latest issue of Haven Magazine, the annual publication featuring everything we love about Bald Head Island. One of our latest favorite projects (so many favorites) is featured with a full home tour in the magazine. We’ll share a sneak peek of some of the beautiful interiors! This kitchen with cabinets the color of seaglass, quartz countertops, and incredible pendant lights is the central gathering space of the home. The dining table is perfect for large gatherings of family and friends. 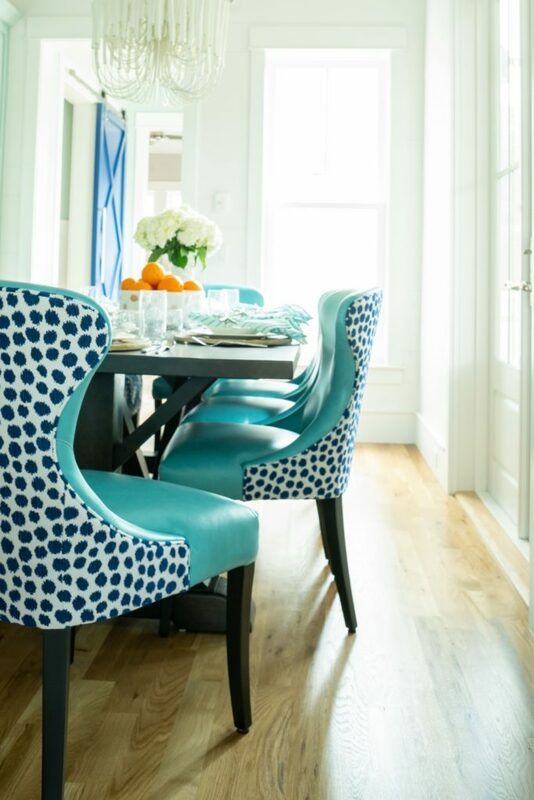 There’s no need to worry about wet bathing suits with the performance fabrics on the upholstered furniture! The large sectional in the family room provides casual comfort for the entire family! 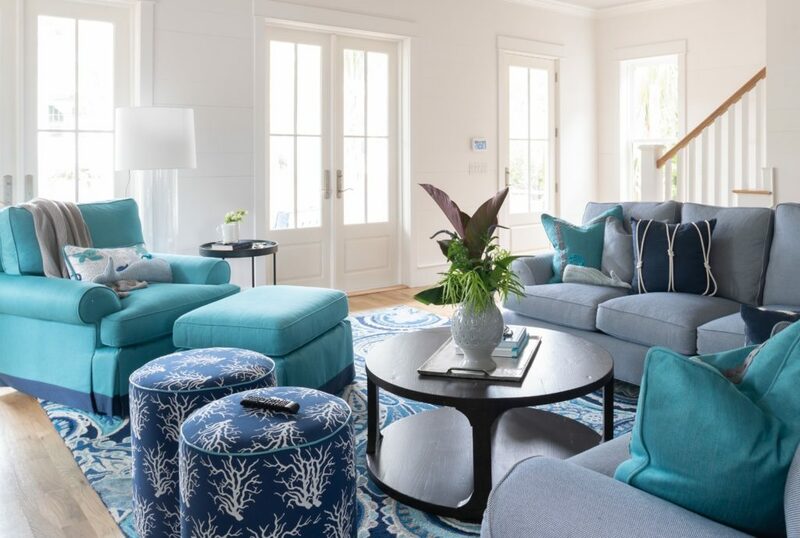 A seaside vibe carries throughout the home with layers of blue and turquoise color. 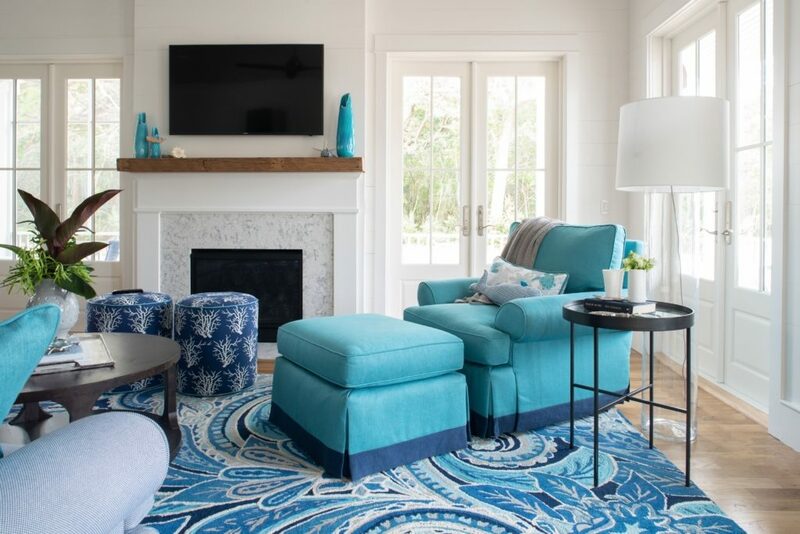 This is one happy beach home that is ready for summer guests! Enjoy. Leave a Comment Comments Off on Our Beach Break Project in Haven Magazine!